Mobile music while you ride. Bluetooth skateboard speaker now available. As you’re all aware, I’m a well-cool and dat. I like nothing more than getting a sick skateboard and popping an anchor grind, a hipper and a nose bonk. 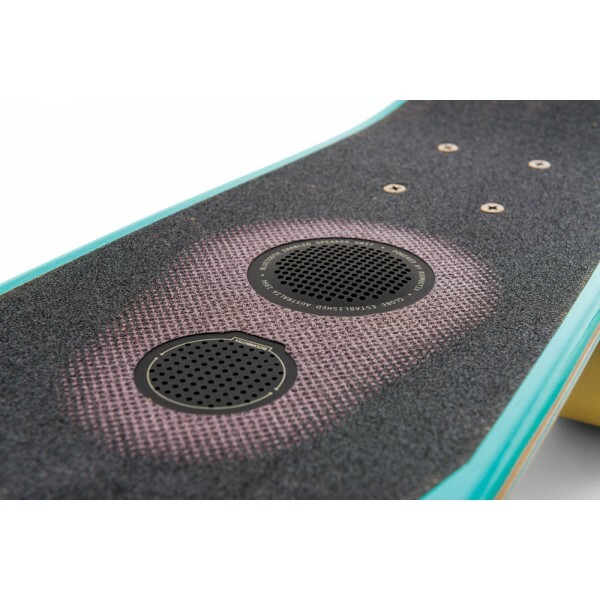 So when I heard about these speaker-equipped skateboards I was keen to cover them. Designed with alongside Boombotix, this is a skateboard to pump out your favourite tunes. Sure, those tunes may or may not be the tunes everyone else I’m your vicinity wants to hear, but it’ll do this via Bluetooth so you can control it all from the phone in your pocket. It’s impact and water resistant with a speaker that’s big enough for you to feel the bass through your feet. It’s charged via a USB cable which is provided. Then, at full volume, you can get over 2 hours of music or, if you turn it down a bit, 6 hours or more. The cost is $249.95. Looking for a Forex app?